Luxury family - villa next to ROYAL LAS BRISAS GOLF COURSE on a flat plot of 1378 m2 and living area of 335 m2, large terraces with every comfort, situated in a quiet cul-de-sac. Facing S.SW. Garden level, salon with open fireplace, connected to a covered, terrace, big flat screen TV integrated at the open dining area with a modern open plan kitchen, perfectly equipped with best appliances, access to enormous terraces, al fresco dining, guest bedroom with connection to salon terrace, bathroom with large marble shower, 2nd. guest bedroom with shower en-suite and own separate terrace leading onto the garden. This superb penthouse, inside Puerto José Banús, totally refurbished in modern contemporary style by an interior architect with sunny covered terrace offers magnificent unspoiled views overlooking the marina to the sea. The penthouse comprises 2 bedrooms with bathrooms, a lovely open plan fully equipped, a large salon with chimney. Sold entirely furnished, garage parking in the basement and elevator to the apartment. 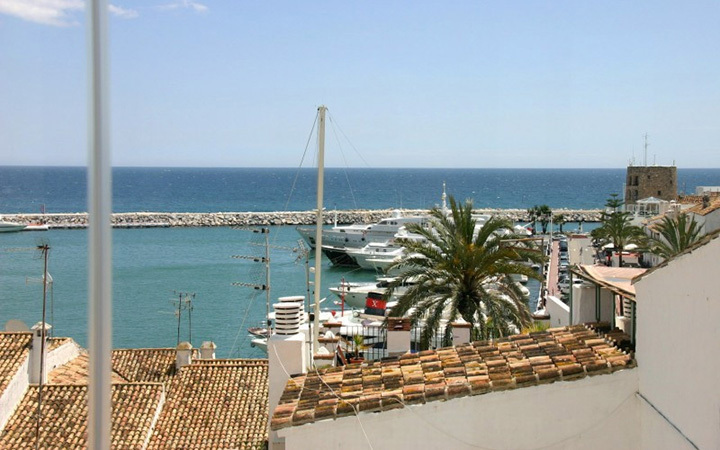 Very good to let, a rare opportunity inside Puerto Banús ! 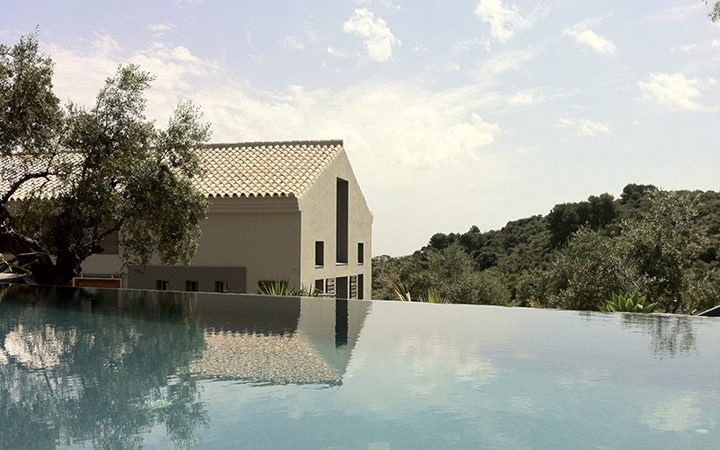 Contemporary villa in Monda, situated on a rural finca just 20 minutes from Marbella and 30 minutes from Malaga airport away. It is built on a large plot of 6,037 m2. and enjoys excellent views of the mountains and Monda Castle. On clear days you can even see the mountain of the Sierra Nevada. The house is spread on 3 levels. The ground floor features a modern open plan fully equipped kitchen, a dining room and a cozy lounge with fireplace offering relaxing views of the countryside through large windows, thus with an abundance of light, even from terraces there are stunning panoramic views. Two bedrooms en suite and a guest toilet complete this level. Established in 1974 in Puerto José Banús, Marbella, we became the Real Estate agents of the company Puerto Banús S.A. for the German speaking market. Since then CPI S.L. is known for its serious and reputable services as a Real Estate company specialised in the sale and management of selected properties in and around Marbella. 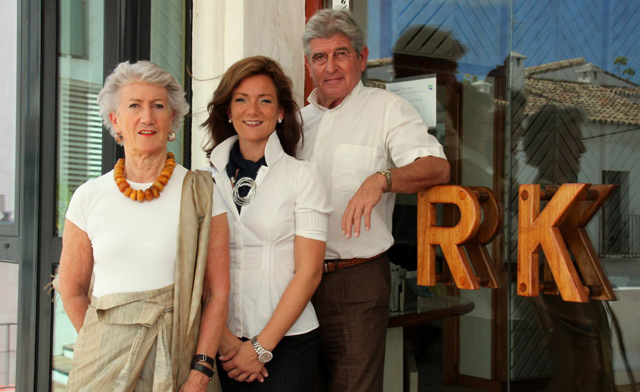 Your advantage.. Our experience, Reputation and After Sales Service for more than 40 years in Marbella. Leading Property Agents of Spain is an association of top real estate agents with excellent reputations along the Costa del Sol. All members are professionally qualified and registered real estate companies and some of the longest established businesses of the coast.